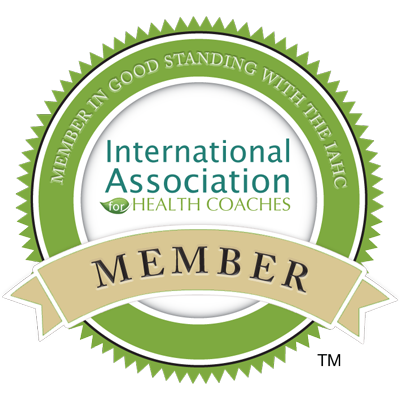 Check out this article by Integrative Nutrition. Are all these foods in your diet? There are some wonderful recipes included here to inspire you! I would also add the wonder spice turmeric. 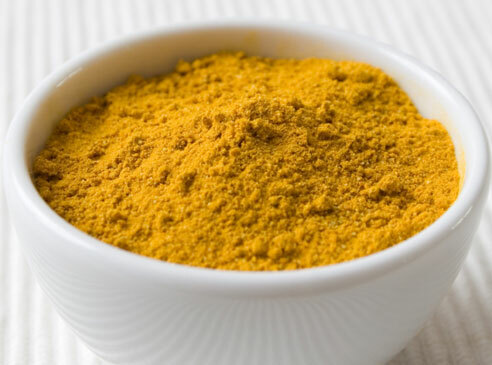 It has amazing anti-inflammatory properties and doesn’t have a strong flavor so it’s perfect to add a teaspoon to your morning smoothie, soups or dinner. Bon Appetit! Inflammation is a common response the body has to injury, pain, illness, and stress. If your body has a temporary, acute inflammatory response, it is simply a sign of natural healing. But inflammation can become problematic when it becomes a chronic, low-level condition. It is like an unattended fire burning away and attacking healthy body tissues. Inflammation is seen at the root of many other diseases, such as diabetes, auto-immune and heart diseases, neurological disorders, and cancer. Wondering what causes it? Our modern habits alone can lead to this common condition, including eating too many sugary, high-processed foods; insufficient omega-3 intake; lack of sleep; lack of movement or exercise; chronic stress; lack of down-time away from technology; and poor digestive health. 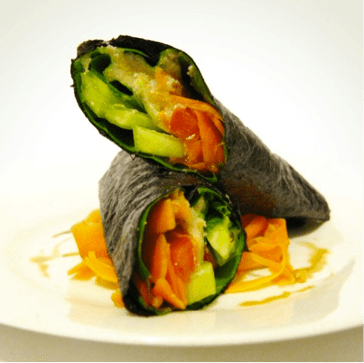 Kelp: This sea vegetable is a type of brown algae that is rich in fucoidan, a complex carbohydrate that is anti-inflammatory. Studies have shown it to have anti tumor and radioprotective properties. Its high-fiber content also helps balance blood sugar and promotes weight loss. If you’ve never cooked with veggies, start with something simple, like this kelp cucumber salad. Wild-Caught Salmon: This fish provides healthy doses of omega-3 essential fatty acids, which help reduce inflammation and are essential for brain health. Salmon and other oily fish also provide the crucial Eicosapentaenoic acid (EPA) and Docosahexaenoic acid (DHA) omega-3 fatty acids, which are not found in plant sources. Make sure your salmon is wild and not farmed, because farmed salmon does not have the same health benefits. Try this ginger broiled wild salmon. Shiitake Mushrooms: Common in Chinese and Japanese cooking, shiitake mushrooms provide anti-cancer benefits in addition to anti-inflammatory properties. They have been used medicinally in China for more than 6,000 years. Try them in a simple stir-fry or in this soothing shiitake gravy. Papaya: This tropical fruit contains high levels of papain (a protein-digesting enzyme) and vitamins C and E which, combined, help reduce inflammation. Papaya can also help you improve your digestion. 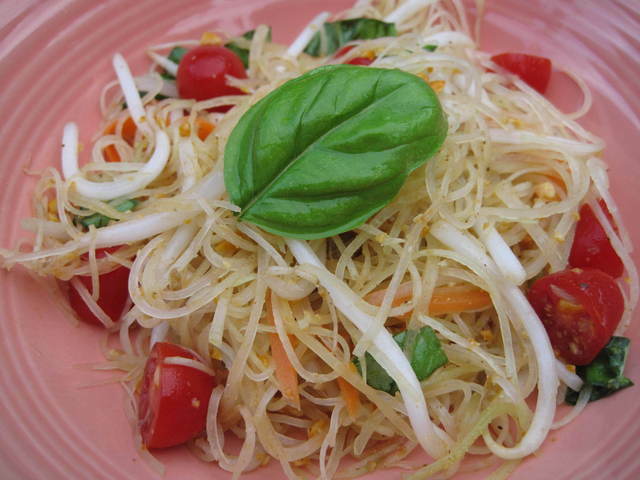 Try it in this Thai papaya salad. Sweet potato: Don’t overlook the benefits of this common tuber. It is rich in anti-oxidants such as vitamin B6 and C, and the anti-stress mineral magnesium. Moreover, their naturally sweet flavor and high fiber content make them perfect for curbing sweet cravings. Try this baked caraway sweet potato with rosemary. « Need an Idea for a Healthy Snack?